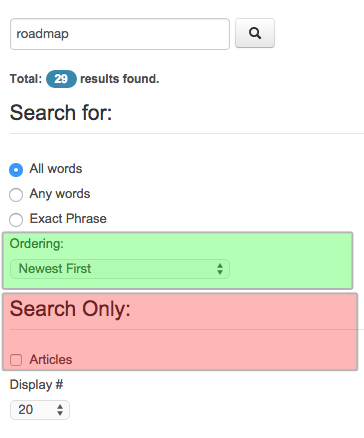 How do I remove the "Ordering" drop-down menu option from Joomla Search? I need to remove the Green highlight section not the Red section by setting 'Use Search Options' to 'No'. Setting Components -> Search -> Options -> Use Search Options to "No" will disable the search options. Taking JSN templates as an example, copy the custom CSS code into a custom file e.g. 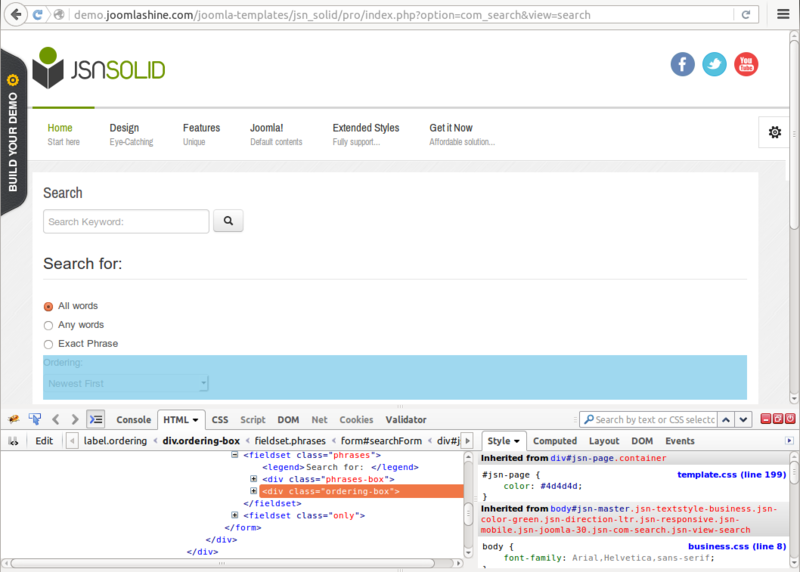 custom.css and copy the file to the CSS folder at /templates/[template name]/css. Remember to specify the name of the CSS file at Extensions -> Templates -> [template name] -> SEO & System -> Custom CSS/JS File(s). See https://joomla.stackexchange.com/a/3878/120 for instructions on adding custom CSS files to other templates.